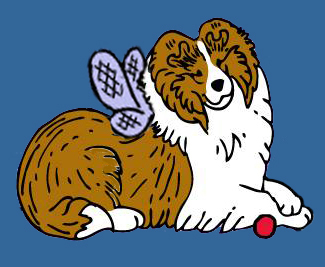 What Do I Do if My Sheltie is Lost? Loosing a beloved Sheltie has got to be one of the worst things we can imagine. So in honor of all those Shelties that can’t find their way home again, we wanted to provide a list of things to do in case of such an emergency to help get them home quickly. On the posters, you want BIG-BOLD print and large enough that people driving by will be able to read it. Someone may see the sign and call from their cell phone. Or see it, find/see the dog later and then return to the sign to get the number. The entire time the dog is missing, post big signs on your cars with all the info. Get your friends and family to do the same. The more people who are aware that a loving pet is lost, the better chance the dog will be found. Make up average size posters (8 x 11) and post them anywhere people will see them: grocery stores, gas stations, convenient marts, etc. Be sure to give one to all Vets in the area (including any night time Emergency Vets), UPS drivers, postal workers, school bus drivers, construction workers, churches, schools, etc. Call the local police departments and any rescue groups in the area. Rescue groups usually belong to many dog lists and can get the news out to countless people. Some rescues have humane traps available to use. Make up small business type cards. Give one to everyone on the street walking, jogging, etc. If there is a dog park near by, be sure to see the people there. They are already dog lovers and more likely to help. Get an ad in the major newspaper asap! Not just the local paper. People pick up stray dogs all the time, take them home and then try to find the owners. Maybe they do not live in your area. Since it usually takes 24 hours to get it in the paper, you need to do this right away. Every second counts. Go to your local humane societies at least every three days. Be sure to ask them about the injured dogs that are being housed elsewhere. Also, be sure to place a written lost report with them. Do NOT expect them to call you if the dog shows up there. They take many lost reports a week and are simply too busy to help return your lost dog. You must go there!! If you are lucky and spot your missing dog, please do not think the dog will come to you when he/she sees you. Most will turn the other way. They are “on the run” & can travel fast when they are scared. IF the dog is seen and seems interested in you, do NOT go towards the dog. Instead, sit down on the ground and calmly call him/her. If this does not work, pretend to cry loudly. This usually brings them in. Don’t make a move for the dog until he/she is 200% in reach of you. This trick will usually only work once. After that the dog will be on the run again. He/she may bite, so be prepared NOT to let go. Respond to ANY call you receive. Even if you think the dog could not get that far or it doesn’t sound too much like the dog…Go anyway. Call on any possible dog listed in the paper as “found”.